Howard Ruby is the namesake of the Howard F. Ruby Retinal Engineering Facility in the Institute for Vision Research at the University of Iowa. 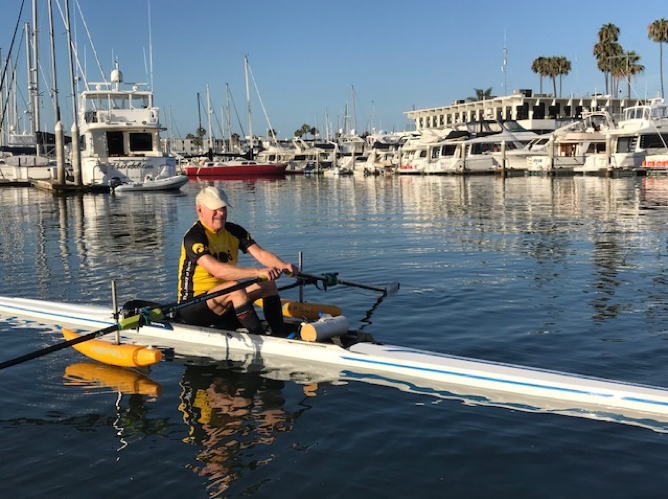 He was not able to participate in RAGBRAI this year because he is actively training for a rowing regatta in a marina near his home in Beverly Hills, California. However, these photos show that he is with us in spirit, proudly wearing his IVR bicycle jersey during his regatta practice. 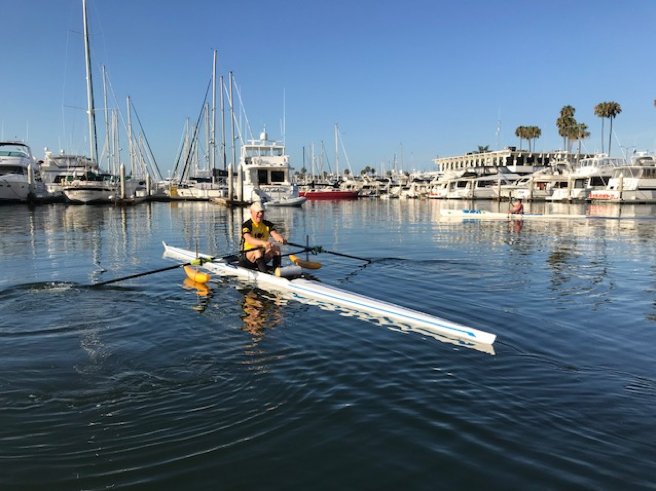 While his rowing partner is in Europe, Howard has been learning how to use the competition single scull which is only 10.5” wide and 26’ long. It has no keel, and is “tippy as all get out”. That is why he has been using the extra stabilizing pontoons for this week’s solo practice. He’ll take them off by the end of the week. 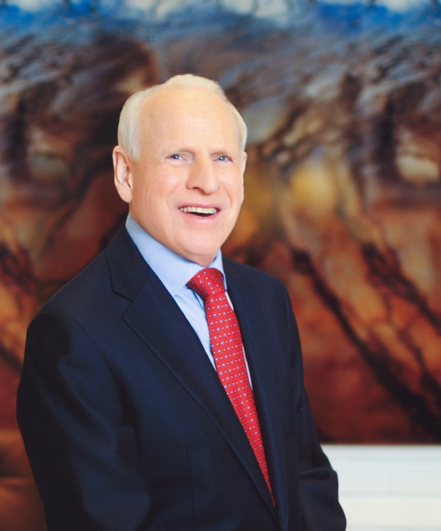 Howard has a condition known as Retinitis Pigmentosa (RP) which has progressively and severely affected his vision. Howard rows with a walkie talkie that allows someone to guide him from a chase boat. Although there are 170,000 active rowers in the US at this time, the number rowing with low to no vision are barely enough to fill an 8-man boat!